According to the book Dong-guk-yu-gi-seung-lam published in 1481, the name Busan means ‘a mountain that looks like a Ga-ma-sot(traditional Korean iron rice cooker)’. In fact, the presence of mountains can be seen and felt almost anywhere you are in Busan and the entire city as well as the coastlines seems to be sculpted both horizontally and vertically by the hills and contours of the surrounding mountains. In this context, the mountains, not the man-made monuments or buildings become a true visual landmark. 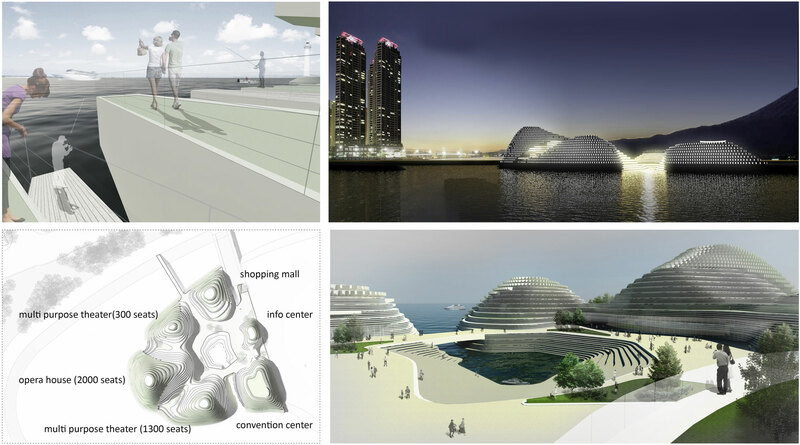 This project is a reinterpretation of the relationship between the mountain, the ocean, and the city of Busan. As the city is surrounded by mountains that descend to the ocean, the open plaza with a water space in the center is surrounded by opera house facilities. 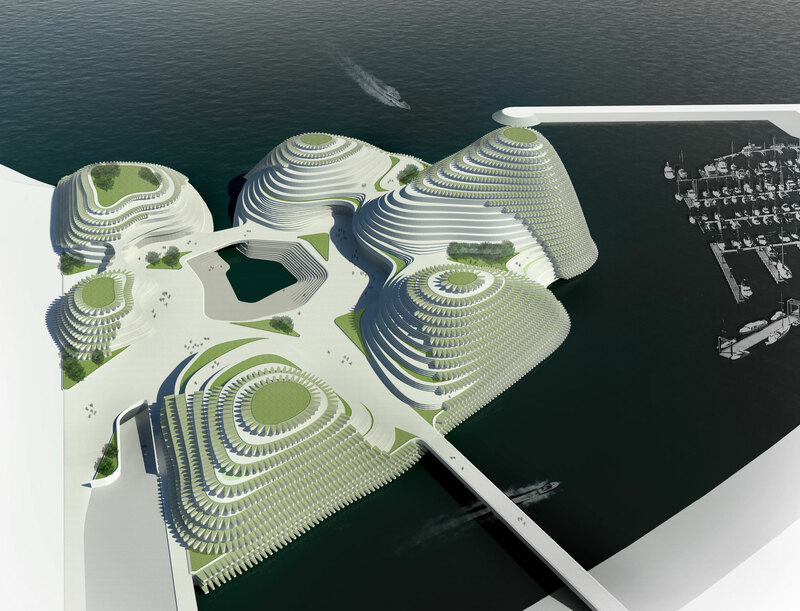 One of the key strategies of the master plan is not to create objects or monuments on an open space but to design a continuous plaza that extends up and over the buildings and meet the ocean. 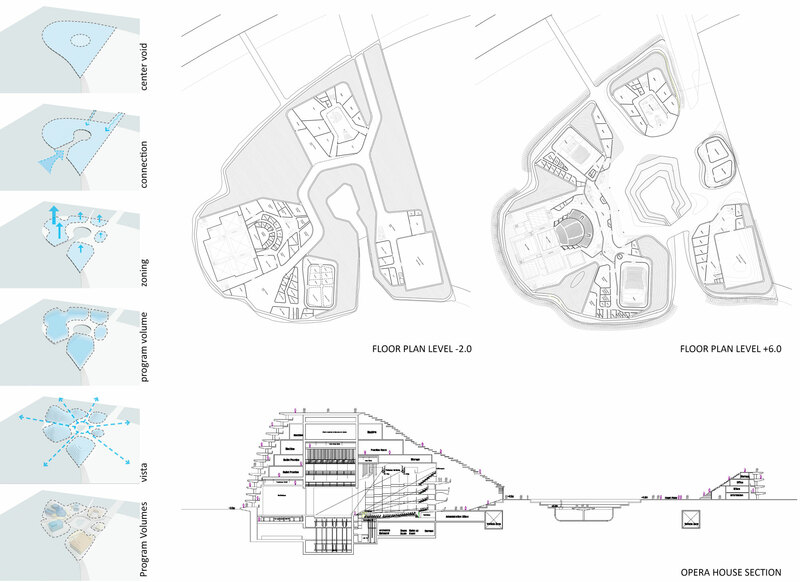 This allows the entire complex to become a truly civic open space.